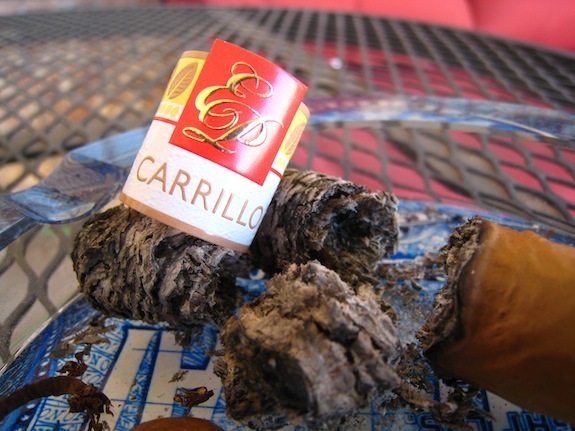 NOT slacking this week, I’m bringing you a nice little pre-release sneak peek at one of two EP Carrillo’s new blends. The New Wave Connecticut. The Good Stuff: That Carrillo gang really wanted to stretch Connecticut blended cigars to a new level when the started formulating the New Wave Connecticut blend, hence the “New Wave” in the name. Will such a bold statement stand the test? I have never been much of a Connecticut cigar smoker, but everything put into this blend makes me thing that it just may have what it takes to get my attention. These sticks were sent to me directly from Ernesto, and will soon be released in four different sizes: The Stellas (5 1/8 x 42), the Brialliantes (5 x 50), the Divinos (6 x 52), and the Gran Via (7 x 49), and will range from $4.50 to $7.00 a stick. Unlike a lot of other EP Carrillo blends, this will be a full addition to their portfolio and will be available year round. Prelight: First of all, I love what E.P. Carrillo is doing with these bands. Very presentable, elegant, and classy. Matching with the lighter wrapper color the band on the New Wave Connecticut, the band switches up a bit with a red and gold embossed crest on a white and light yellow band with goldish brown accents. The wrapper on the New Wave Connecticut is a absolutely consistent, light brown. The wrapper gives off a nice little sheen from it’s silky texture. 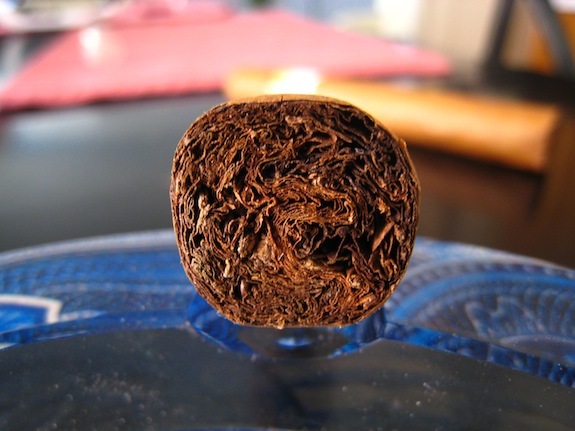 There are a few larger veins running the body of the cigar leading up to a beautiful Cuban-style triple cap. 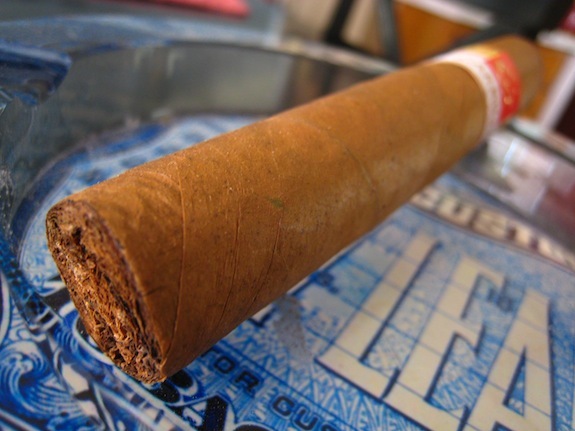 The cigar is extremely firm to the touch with no noticeable soft spots. The Construction on this cigar isn’t anything less than stellar. Perfectly manufactured cigars seem to be the trend coming from every that Ernesto has put his name on since leaving La Gloria Cubana. The Wrapper gives off ta very strong barnyard odor. Sweet and stinky with a more pronounced barnyard and earth toned foot. EP Carrillo’s New Wave Connecticut cut perfectly clean and easy using my handy dual bladed cigar cutter. The cold draw is incredibly smooth, hitting me with a neat little milky, caramel flavor with some hints of tobacco mixed in. First Smoke: The EP Carrillo New Wave Connecticut lit up with extreme ease under my triple flame butane torch. Right off the bat you can tell that this experience wont be that of you average Connecticut cigar. The experience starts off very smooth with a nice sweet, tobacco with some caramel, a dash of coffee and a dash of cedar. Not really the softer flavor profile I have grown to expect from Connecticut wrapped cigars. The New wave Connecticut boasts of almost cubanesque flavors, and a lot of them. The draw is thick, and plentiful while showing just a little resistance. 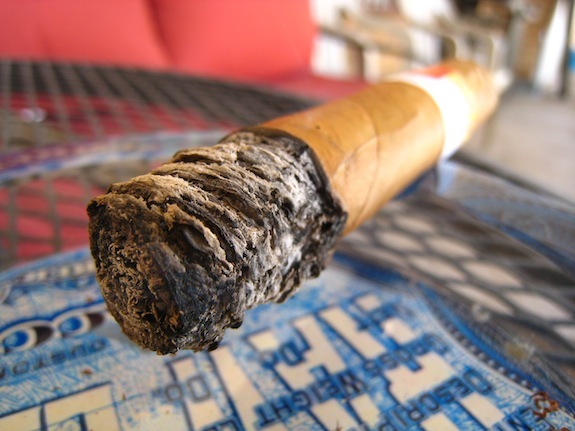 With the Cuban-like flavors comes the matching burnline. The burnline is a bit crazy with a large canoe that started out early into the smoke. The ash that the New Wave Connecticut leaves behind is very flaky, and spotty with a few lighter greys mixed in with a ton of darker ones. The ash held on for about an inch before giving way. Halfway There: That crazy canoe has actually disappeared. Surprisingly the burn caught up to it and the cigar is now burning dead even. The flavors haven’t changed up too much. There was a very slight spice that came and went. Outside of that the flavors are still a very smooth, milky, sweet tobacco and caramel, with a little bit of toffee sneaking in. There was a little bit of wrapper cracking in both samples I smoked, but nothing that caused any problems during the experience. It’s just something that I have grown to expect from Ecuadorian tobacco. I didn’t expect to really feel any nicotine from this cigar, and my instincts, so far, have been correct. It’s been just completely smooth up to this point, with a very refreshing retrohale that coats the nasal passage with a very creamy cedar prime. Finish: Just as I was hoping for, the last third of the New Wave Connecticut really ramped up in the flavor department once I got to the final third. I’m not saying there was a bunch of different flavors, the flavors just became more pronounced and a bit more stout. The dominant flavor was a really milky cedar, with the sweet candy-like backing flavors, and even some mixed in almond. 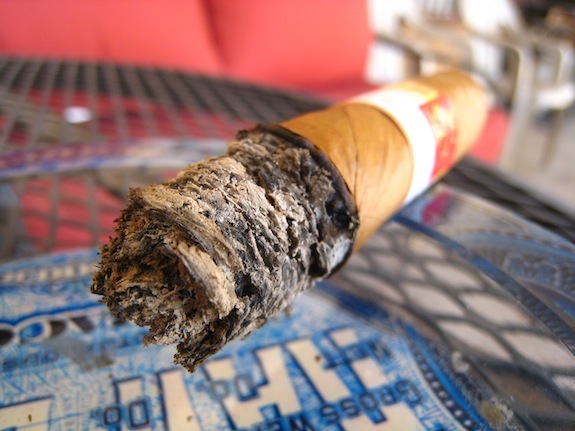 I still haven’t feel a lick of nicotine from this cigar. All I can say is expect a very nice, smooth, and mild experience from start to finish with no harshness at all even into the final inch. In total, it took me about an hour and a half to tear through this New Wave Connecticut Robusto. Overview: Although EP Carrillo’s New Wave Connecticut hasn’t hit the market yet, I can already predict it being a huge hit. Not just because everything he has made to date is golden, but because this cigar really takes Connecticut to a new level without losing it’s roots. The flavorful, Cuban type flavors combined with the smoothness of this cigar will reach a huge range of cigar smokers, and a just over $5 a pop who isn’t going to love these cigars? Pairing: I took a huge risk with this pairing. Cherry Wheat Samuel Adams? That’s right. The beer boasts very strong cherry and fruit flavors. Enough to overpower almost any cigar. Why did I choose it? Cause it’s Connecticut. 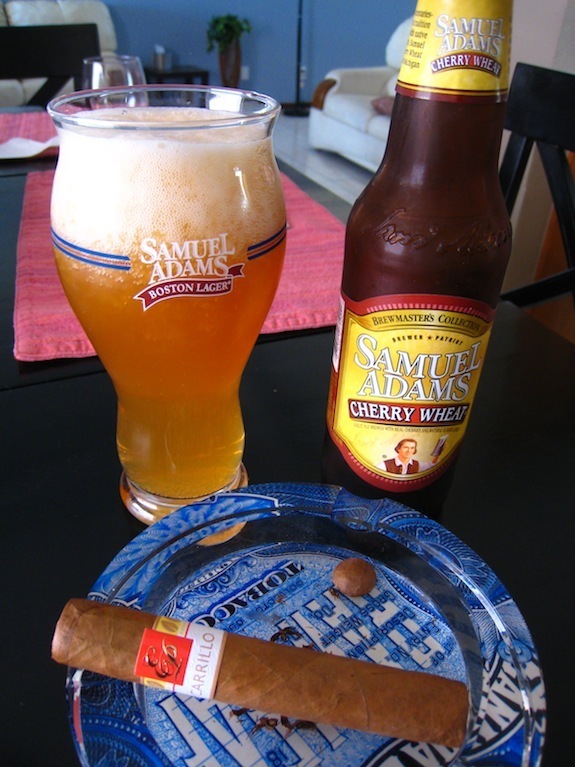 I find that most Connecticut cigars are a bit lacking in the flavor department so I figure I could pair it with this beer to bring out the sweetness in the tobacco and hopefully not overpower the cigar. Did it work? Hell yeah it did! This pairing was REMARKABLE. In fact, the New Wave Connecticut even added to the taste of the beer! This beer is pretty easy to find (in the states) and I would STRONGLY recommend you guys to try this pairing out once you can get your hands on this cigar. 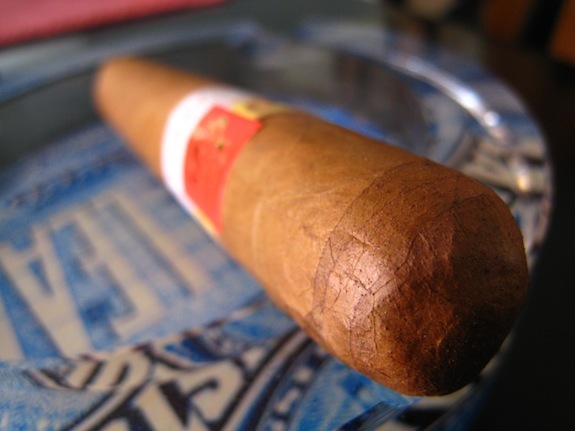 Outside of the cherry wheat, this cigar would pair perfectly with your morning coffee or tea. Even a nice glass of apple juice. 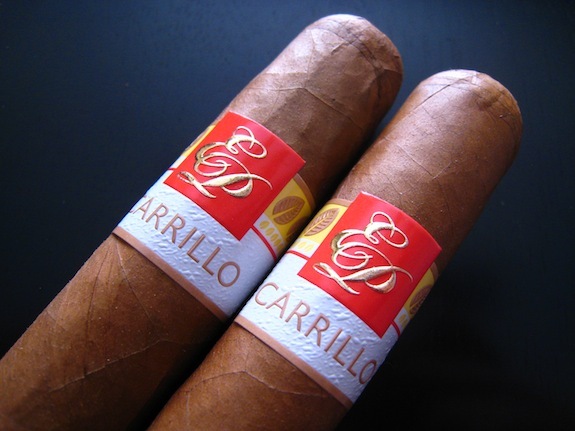 The last Carillo’s I had were pretty good. I don’t usually go for Connecticut myself either, but the barnyard smell is usually a good indicator of a good smoke. Pity it sounds so mild, but the flavor sounds like it makes up for it. Im a HUGE full bodied smoker, but there are those few times in between where I go for something a bit more mild. Usually some Oliva G maduro, Tatuaje, or even something random. But with the flavors and price i think this cigar will quickly become a go to in that mild craving category. I cant wait to try one of these.I love the EP’s and the connie wrapper sounds like a great addition.Thanks for the great review as always. Nice one Tony! That band is definitely well done! 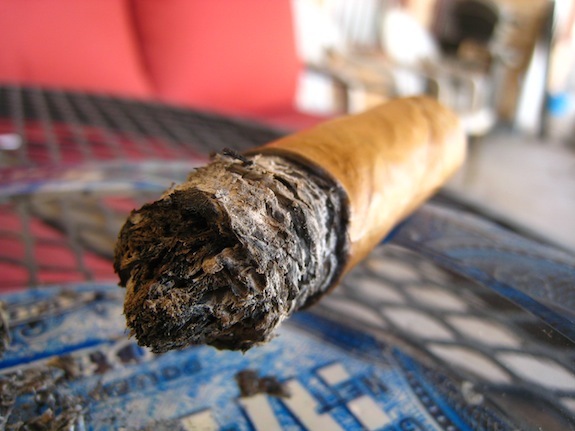 Not overstated but it seems to look just perfect on that cigar. The flavors here sound great and would be perfect for an early day cigar. I think there’s a huge market for Connecticut’s out there, especially those that come in at a fair price. So this stick sounds like it hits the mark and I think you’re spot on saying that it’ll make a big splash. great review tony! have been hearing great things about these. cant wait to try one. Great as always. I just got my hands on these and really enjoyed it. Love cherry wheat SA my neighbor makes home brew cherry wheat I’ll give it a try. Keep up the great stuff you guys do. @Ron – Hopefully you get your hands on them soon! Totally worth it! @Mike – HOME BREW CHERRY WHEAT?! You are a lucky man living so close to him! Ernie was kind enough to send me two of these and two of the Elencos, and thanks to this beast of a sinus infection I haven’t tried either. But I’m very excited for both. Ernesto is really at the top of his game, and is putting out some of the best cigars on the market if you ask me. Great review. My favorite Connie has been Oliva Con but this might change with EPC. Cherry Wheat, huh ? I might stop by tomorrow and buy a 6-pack. No luck with any Sam Adams up here, they JUST started carrying the Boston Lager. There are some other flavored wheat beers I’ve seen so maybe I’ll pick a couple up to try next time.